Paxton's Crystal Palace enclosed full-grown trees in Hyde Park. 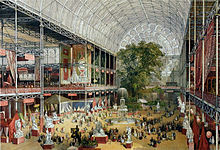 The Great Exhibition of the Works of Industry of All Nations or The Great Exhibition, sometimes referred to as the Crystal Palace Exhibition in reference to the temporary structure in which it was held, was an international exhibition that took place in Hyde Park, London, from 1 May to 15 October 1851. It was the first in a series of World's Fairs, exhibitions of culture and industry that became popular in the 19th century, and it was a much anticipated event. 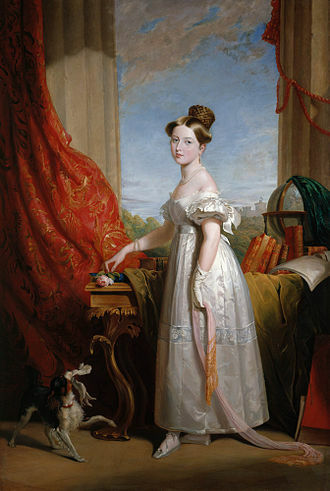 The Great Exhibition was organized by Henry Cole and Prince Albert, husband of the reigning monarch, Queen Victoria. 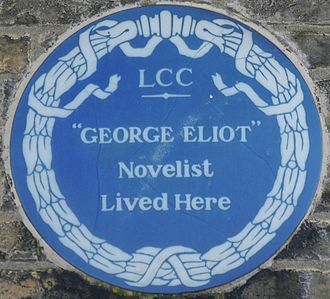 It was attended by famous people of the time, including Charles Darwin, Samuel Colt, members of the Orléanist Royal Family and the writers Charlotte Brontë, Charles Dickens, Lewis Carroll, George Eliot, Alfred Tennyson and William Makepeace Thackeray. The Exposition des produits de l'industrie française (Exhibition of Products of French Industry) organized in Paris, France, from 1798 to 1849 were precursors to the Great Exhibition of 1851 in London. 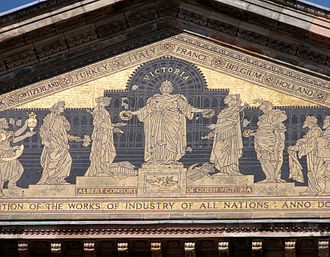 The Great Exhibition of the Works of Industry of All Nations was organized by Prince Albert, Henry Cole, Francis Henry, George Wallis, Charles Dilke and other members of the Royal Society for the Encouragement of Arts, Manufactures and Commerce as a celebration of modern industrial technology and design. It was arguably a response to the highly effective French Industrial Exposition of 1844: indeed, its prime motive was for Britain to make "clear to the world its role as industrial leader". 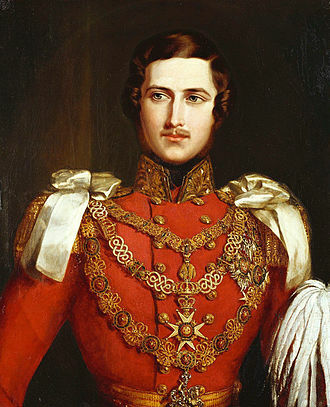 Prince Albert, Queen Victoria's consort, was an enthusiastic promoter of the self-financing exhibition; the government was persuaded to form the Royal Commission for the Exhibition of 1851 to establish the viability of hosting such an exhibition. 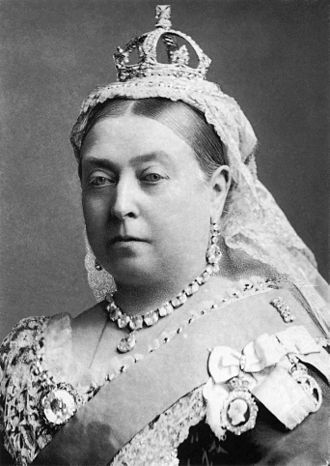 Queen Victoria and her family visited three times. Although the Great Exhibition was a platform on which countries from around the world could display their achievements, Britain sought to prove its own superiority. The British exhibits at the Great Exhibition "held the lead in almost every field where strength, durability, utility and quality were concerned, whether in iron and steel, machinery or textiles." Britain also sought to provide the world with the hope of a better future. Europe had just struggled through "two difficult decades of political and social upheaval," and now Britain hoped to show that technology, particularly its own, was the key to a better future. Sophie Forgan says of the Exhibition that "Large, piled-up ‘trophy’ exhibits in the central avenue revealed the organisers’ priorities; they generally put art or colonial raw materials in the most prestigious place. Technology and moving machinery were popular, especially working exhibits." She also notes that visitors "could watch the entire process of cotton production from spinning to finished cloth. Scientific instruments were found in class X, and included electric telegraphs, microscopes, air pumps and barometers, as well as musical, horological and surgical instruments." A special building, nicknamed The Crystal Palace, or "The Great Shalimar", was built to house the show. It was designed by Joseph Paxton with support from structural engineer Charles Fox, the committee overseeing its construction including Isambard Kingdom Brunel, and went from its organisation to the grand opening in just nine months. The building was architecturally adventurous, drawing on Paxton's experience designing greenhouses for the sixth Duke of Devonshire. It took the form of a massive glass house, 1848 feet (about 563 metres) long by 454 feet (about 138 metres) wide and was constructed from cast iron-frame components and glass made almost exclusively in Birmingham and Smethwick. 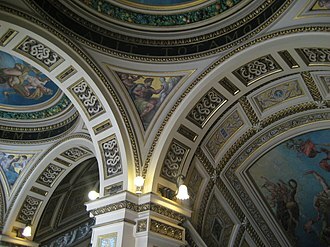 From the interior, the building's large size was emphasized with trees and statues; this served, not only to add beauty to the spectacle, but also to demonstrate man's triumph over nature. 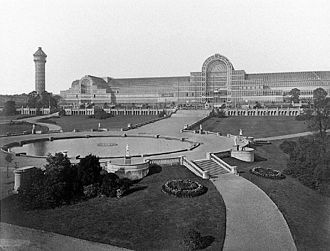 The Crystal Palace was an enormous success, considered an architectural marvel, but also an engineering triumph that showed the importance of the Exhibition itself. 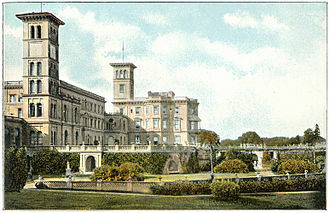 The building was later moved and re-erected in 1854 in enlarged form at Sydenham Hill in south London, an area that was renamed Crystal Palace. It was destroyed by fire on 30 November 1936. 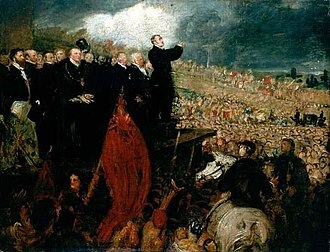 Six million people—equivalent to a third of the entire population of Britain at the time—visited the Great Exhibition. The average daily attendance was 42,831 with a peak attendance of 109,915 on 7 October. The event made a surplus of £186,000 (£18,370,000 in 2015),, which was used to found the Victoria and Albert Museum, the Science Museum and the Natural History Museum. They were all built in the area to the south of the exhibition, nicknamed Albertopolis, alongside the Imperial Institute. The remaining surplus was used to set up an educational trust to provide grants and scholarships for industrial research; it continues to do so today. In modern times, the Great Exhibition is a symbol of the Victorian Age, and its thick catalogue, illustrated with steel engravings, is a primary source for High Victorian design. A memorial to the exhibition, crowned with a statue of Prince Albert, is located behind the Royal Albert Hall. It is inscribed with statistics from the exhibition, including the number of visitors and exhibitors (British and foreign), and the profit made. The official descriptive and illustrated catalogue of the event lists exhibitors not only from throughout Britain but also from its 'Colonies and Dependencies' and 44 'Foreign States' in Europe and the Americas. 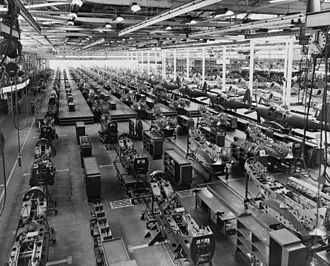 Numbering 13,000 in total, the exhibits included a Jacquard loom, an envelope machine, kitchen appliances, steel-making displays and a reaping machine that was sent from the United States. The Mintons stand exhibited ceramics including majolica which proved a world-wide success. The Koh-i-Noor, meaning the "Mountain of Light," the world's largest known diamond in 1851, was one of the most popular attractions of the India exhibit and was acquired in 1850 as part of the Lahore Treaty. The Daria-i-Noor, one of the rarest pale pink diamonds in the world, was shown. The early 8th-century Tara Brooch, discovered only in 1850, the finest Irish penannular brooch, was exhibited by the Dublin jeweller George Waterhouse along with a display of his fashionable Celtic Revival jewellery. Alfred Charles Hobbs used the exhibition to demonstrate the inadequacy of several respected locks of the day. Frederick Bakewell demonstrated a precursor to today's fax machine. Mathew Brady was awarded a medal for his daguerreotypes. William Chamberlin, Jr. of Sussex exhibited what may have been the world's first voting machine, which counted votes automatically and employed an interlocking system to prevent over-voting. The first modern pay toilets were installed, with 827,280 visitors paying the 1 penny fee to use them. 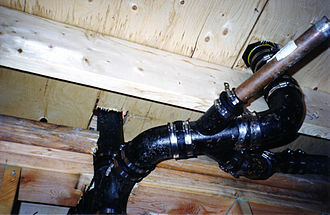 The toilets remained even after the exhibition was dismantled. "Spending a penny" became a euphemism for using a toilet. Firearms manufacturer Samuel Colt demonstrated his prototype for the 1851 Colt Navy and also his older Walker and Dragoon revolvers. The Tempest prognosticator, a barometer using leeches, was demonstrated at the Great Exhibition. The America's Cup yachting event began with a race held in conjunction with the Great Exhibition. Gold ornaments and silver enamelled handicrafts fabricated by the Sunar caste from Sind, British India. C.C. Hornung of Copenhagen, Denmark, showed his single-cast iron frame for a piano, the first made in Europe. "The Trophy Telescope", so called because it was considered the "trophy" of the exhibition, was shown. Its main lens of 11 inches (280mm) aperture and 16 feet (4.9m) focal length was manufactured by Ross of London. 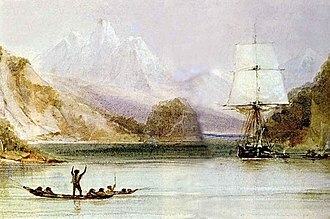 The German equatorial mounting was made by Ransome & May of Ipswich. The instrument maker J. S. Marratt exhibited a five-foot achromatic telescope and a transit theodolite used in surveying, tunnelling, and for astronomical purposes. Asprey exhibited a kingwood and ormolu mounted lady's dressing case with silver-gilt contents bearing the 'Annie' cipher. 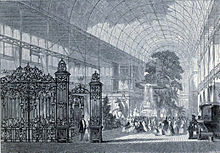 Admission prices to the Crystal Palace varied according to the date of visit, with ticket prices decreasing as the parliamentary season drew to an end and London traditionally emptied of wealthy individuals. Prices varied from three guineas (£311.05 in 2015) (two guineas for a woman) for a season ticket, or £1 per day (for the first two days only), then reducing to five shillings per day (until May 22). The admission price was then further reduced to one shilling (£4.94 in 2015), per day – except on Fridays, when it was set at two shillings and six pence and on Saturdays when it remained at five shillings. The one-shilling ticket proved most successful amongst the industrial classes, with four and a half million shillings (£22,217,549 in 2015), being taken from attendees in this manner. Two thousand five hundred tickets were printed for the opening day, all of which were bought. The Great Exhibition of 1851 encouraged the production of souvenirs. Several manufacturers produced stereoscope cards which provided a three-dimensional view of the Exhibition. These paper souvenirs were printed lithographic cards which were hand-coloured and held together by cloth to give a three-dimensional view of the Great Exhibition. They offered a miniature view of the Crystal Palace Exhibition when one viewed the cards through the peep holes on the front cover. Visitors purchased these souvenirs so that they could relive the experience of going to the exhibition. 1862 International Exhibition, held in London. ^ a b c Kishlansky, Mark, Patrick Geary and Patricia O'Brien. Civilization in the West. 7th Edition. 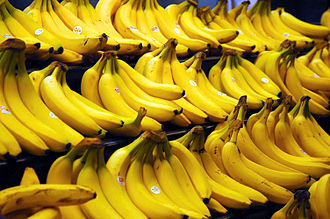 Vol. C. New York: Pearson Education, Inc., 2008. ^ a b Ffrench, Yvonne. The Great Exhibition; 1851. London: Harvill Press, 1950. ^ a b "The Great Exhibition of 1851". Duke Magazine. November 2006. Retrieved 30 July 2007. ^ James Harrison, ed. (1996). "Imperial Britain". Children's Encyclopedia of British History. London: Kingfisher Publications. p. 131. ISBN 978-0-7534-0299-3. ^ Appletons' annual cyclopaedia and register of important events of the year: 1862. New York: D. Appleton & Company. 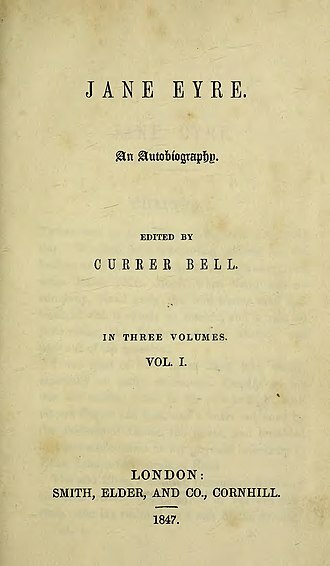 1863. p. 412. ^ The Royal Commission for the Exhibition of 1851. "About Us". Retrieved 1 November 2008. ^ a b Newth, A.M. (1967). Britain and the World: 1789-1901. New York: Penguin Books. p. 97. ISBN 978-0-14-080304-4. ^ Van der Kiste 2004, pp. 206–207. ^ Official Catalogue of the Great Exhibition of the Works of Industry of All Nations. 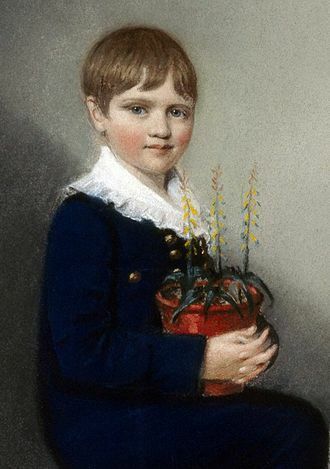 1851. ^ "Memorial to the exhibition". Royal Institute of British Architects. Retrieved 18 October 2014. 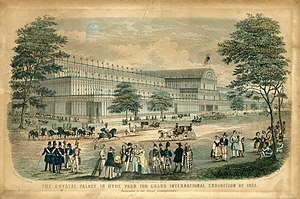 ^ "The Great Exhibition at the Crystal Palace" Archived 14 April 2017 at the Wayback Machine. Victorian Station. Retrieved 3 February 2009. ^ "The Great Exhibition," Manchester Times, 24 May 1851. ^ "Spending a Penny for the Monkey Closet". ^ Smyth, C. P. (1862). "Trophy Telescope at Wester Elchies". Monthly Notices of the Royal Astronomical Society. 23: 1. Bibcode:1862MNRAS..23....1S. doi:10.1093/mnras/23.1.1. ^ a b Leapman, Michael (2001). The World For A Shilling. p. 72. ^ "Entrance Costs to the Great Exhibition". Fashion Era. Retrieved 3 February 2009. ^ "Stereoscopic Photographs in the Collection - National Portrait Gallery". 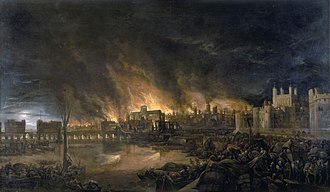 www.npg.org.uk. Retrieved 2019-02-28. Auerbach, Jeffrey A. (1999). The Great Exhibition of 1851: A Nation on Display. Yale University Press. ISBN 978-0-300-08007-0. Gibbs-Smith, Charles Harvard (1981) . The Great Exhibition of 1851 (Second ed.). London: HMSO. ISBN 978-0-11-290344-4. Greenhalgh, Paul (1988). Ephemeral Vistas: The Expositions Universelles, Great Exhibitions and World's Fairs, 1851–1939. Manchester University Press. ISBN 978-0-7190-2299-9. Leapman, Michael (2001). The World for a Shilling: How the Great Exhibition of 1851 Shaped a Nation. Headline Books. ISBN 978-0-7472-7012-6. 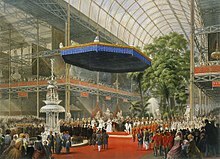 Dickinson's Comprehensive Pictures of the Great Exhibition of 1851. Dickinson Brothers. London. 1854. 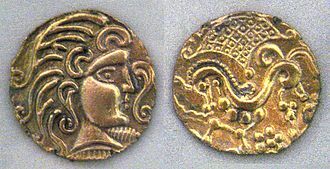 Wikimedia Commons has media related to The Great Exhibition. "Great Exhibition of 1851 and its legacy". Architecture and history. Royal Institute of British Architects. Retrieved 14 December 2010. "Watercolours of the Great Exhibition". Paintings and Drawings. Victoria and Albert Museum. Retrieved 13 November 2007. Alfred Tennyson, 1st Baron Tennyson, FRS was Poet Laureate of Great Britain and Ireland during much of Queen Victorias reign and remains one of the most popular British poets. Tennyson excelled at penning short lyrics, such as Break, Break, The Charge of the Light Brigade, Idle Tears, Tennyson wrote some notable blank verse including Idylls of the King and Tithonus. During his career, Tennyson attempted drama, but his plays enjoyed little success and he is the ninth most frequently quoted writer in The Oxford Dictionary of Quotations. Tennyson was born in Somersby, England and he was born into a middle-class line of Tennysons, but had a noble and royal ancestry. His father, George Clayton Tennyson, was rector of Somersby, rector of Benniworth and Bag Enderby, and vicar of Grimsby. Rev. George Clayton Tennyson raised a family and was a man of superior abilities and varied attainments, who tried his hand with fair success in architecture, music. He was comfortably well off for a clergyman and his shrewd money management enabled the family to spend summers at Mablethorpe. 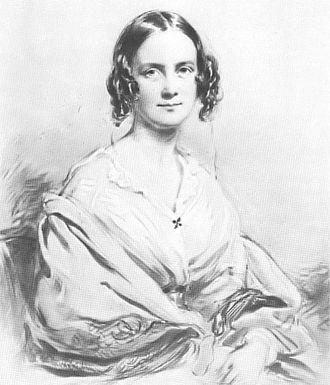 Alfred Tennysons mother, Elizabeth Fytche, was the daughter of Stephen Fytche, vicar of St. James Church and rector of Withcall, Tennysons father carefully attended to the education and training of his children. 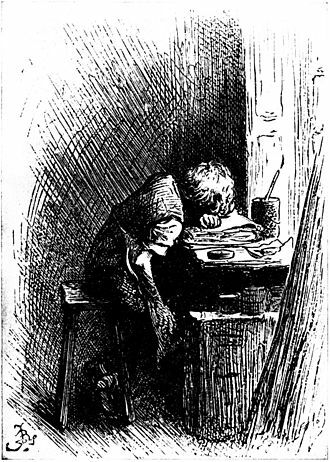 Tennyson and two of his brothers were writing poetry in their teens and a collection of poems by all three was published locally when Alfred was only 17. 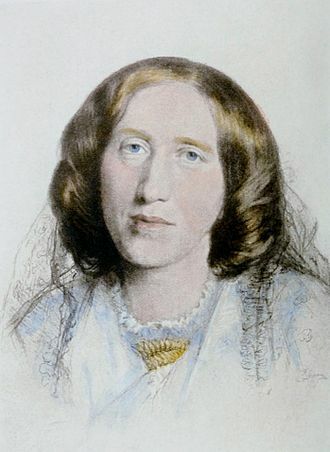 One of those brothers, Charles Tennyson Turner, married Louisa Sellwood, the sister of Alfreds future wife. 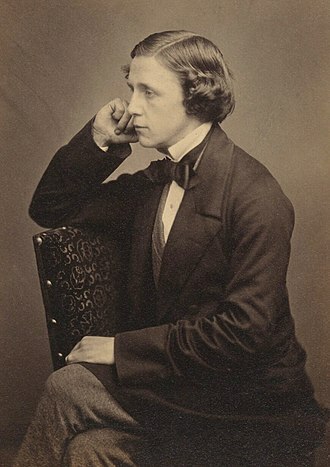 Another of Tennysons brothers, Edward Tennyson, was institutionalised at a private asylum, Tennyson was a student of Louth Grammar School for four years and attended Scaitcliffe School, Englefield Green and King Edward VI Grammar School, Louth. He entered Trinity College, Cambridge, in 1827, where he joined a society called the Cambridge Apostles. A portrait of Tennyson by George Frederic Watts is in Trinitys collection, at Cambridge, Tennyson met Arthur Henry Hallam and William Henry Brookfield, who became his closest friends. Smethwick is a town in Sandwell, West Midlands, historically in Staffordshire. It is 4 miles west of Birmingham city centre and borders West Bromwich and Oldbury to the north and it was suggested that the name Smethwick meant smiths place of work, but a more recent interpretation has suggested the name means the settlement on the smooth land. Smethwick was recorded in the Domesday Book as Smedeuuich, the d in this spelling being the Anglo-Saxon letter eth, until the end of the 18th century it was an outlying hamlet of the south Staffordshire village of Harborne. Harborne became part of the county borough of Birmingham and thus transferred from Staffordshire to Warwickshire in 1891, the worlds oldest working engine, made by Boulton and Watt, the Smethwick Engine, originally stood near Bridge Street, Smethwick. It is now at Thinktank, the new museum in Birmingham. One notable company was The London Works, manufacturing base of the Fox Henderson Company which made the framework for the Crystal Palace. This was founded by Charles Fox, whose inventions included the first patented railway points and his notable employees included William Siemens, the notable mechanical and electrical engineer. The company was bankrupted in 1855 by the failure of a railway to pay for work done. The site was used by the GKN company. In 2015 the site was being cleared to build the new Midland Metropolitan Hospital which combines the Sandwell General Hospital at West Bromwich and City Hospital, phillips Cycles, once one of the largest bicycle manufacturers in the world, was based in Bridge Street, Smethwick. Nearby, in Downing Street, is the famous bicycle saddle maker, the important metalworking factory of Henry Hope & Sons Ltd was based at Halfords Lane where the company manufactured steel window systems, roof glazing and metalwork. Council housing began in Smethwick after 1920 on land belonging to the Downing family. The mass council house building of the 1920s and 1930s involved Smethwicks boundaries being extended into part of neighbouring Oldbury in 1928, the Ruskin Pottery Studio, named in honour of the artist John Ruskin, was in Oldbury Road. George Wallis, The Niagara Falls (1855). The Shalimar Gardens are divided into three distinct terraces. The area in red is the uppermost terrace, and was reserved for the Emperor’s harem, while the area in blue was reserved for the Emperor. The area in green is the lowest terrace, and was occasionally open to the public. The middle level terrace of the garden, known as the Faiz Bakhsh terrace, was the Emperor’s garden.